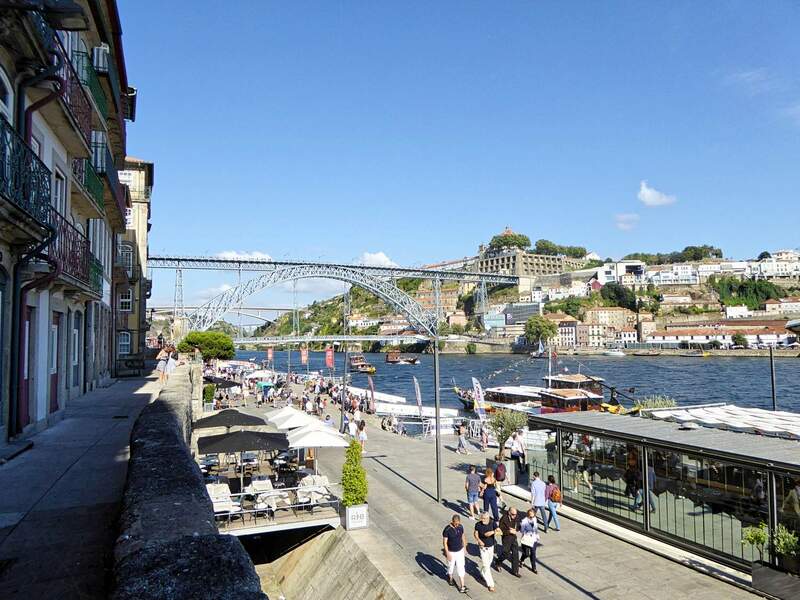 Tasting Oporto on foot is a half-day tour in which you will learn about Oporto’s history and traditions while having new food discoveries. 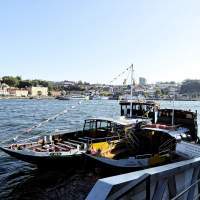 During the tour you’ll taste more than 10 different types of local food ending the tour in a wine bar located at the riverside area ‘Ribeira’ enjoying a Port’s wine tasting. Discover places you wouldn’t have found by yourself! Our tours are always private (just you and our guide). Our local guide will meet you at an agreed spot to start the tour. 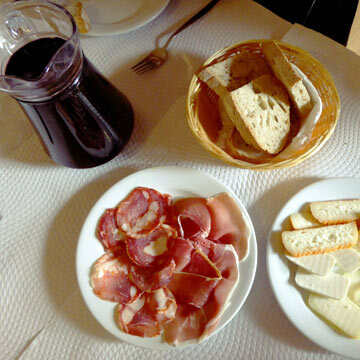 We ensure you that during this tour you will get to know the history and curiosities about the visited places. We recommend you to bring a bottle of water and comfortable walking shoes. 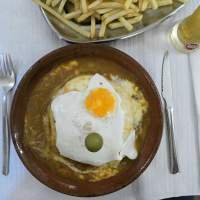 The Francesinha is one of Porto’s most famous dishes. 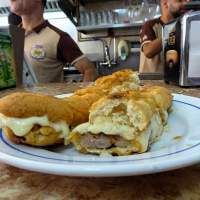 It is defined as being the ultimate “Portuguese sandwich” that consists of toasted bread filled with ham, sausage and steak, covered by melted cheese and a hot sauce made of tomato, beer and piri-piri. In the end, it is topped with a fried egg paired with french fries. 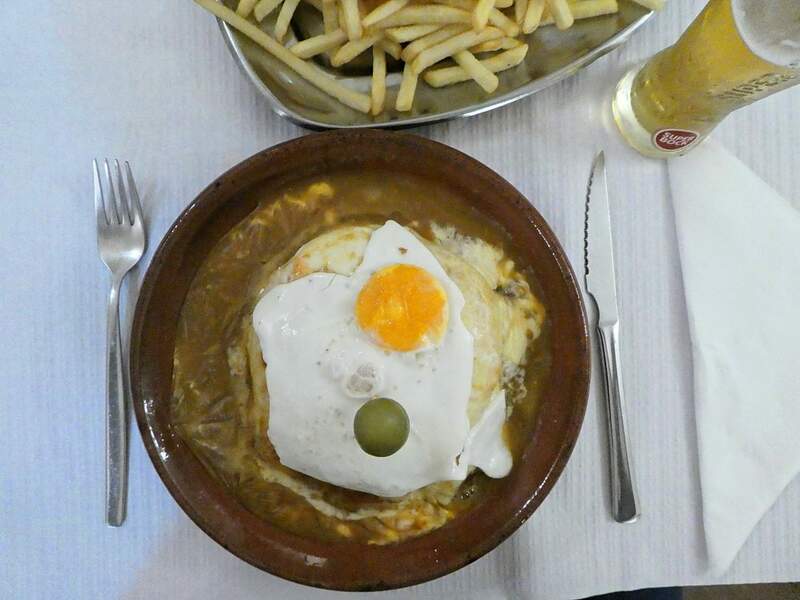 You’ll visit a restaurant which locals claim to have the best francesinha in town. 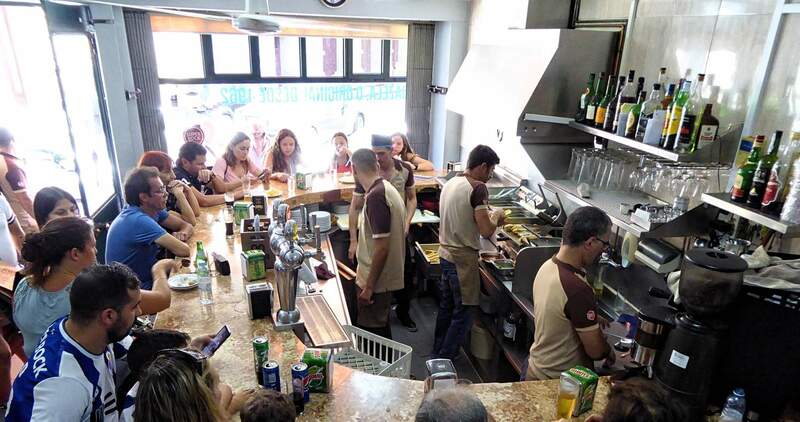 If you want to feel like a true “Portuguese”, interact with all kinds of people and enjoy some local food, we know the perfect places for you. 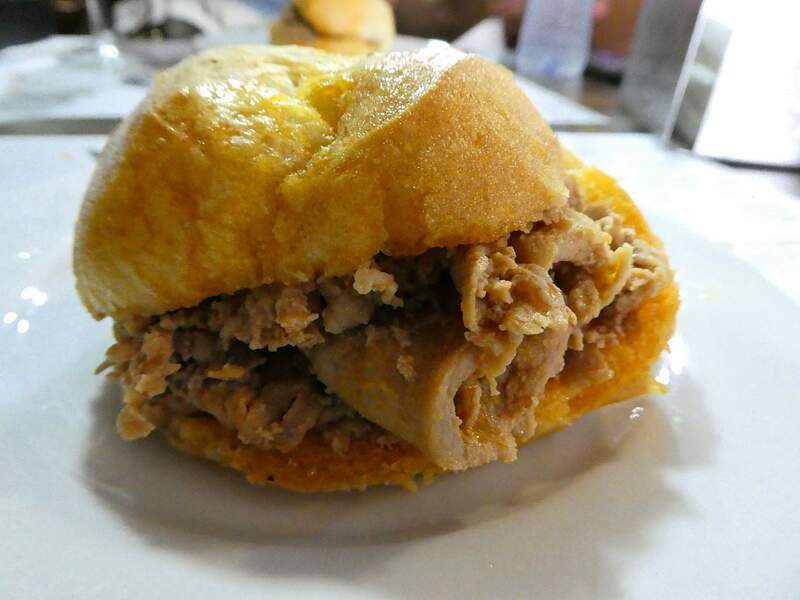 One is famous for its ‘Bifana’, a pork sandwich. 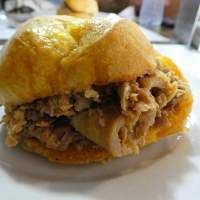 The secret for its popularity lies in the sauce in which the meat is marinated in. 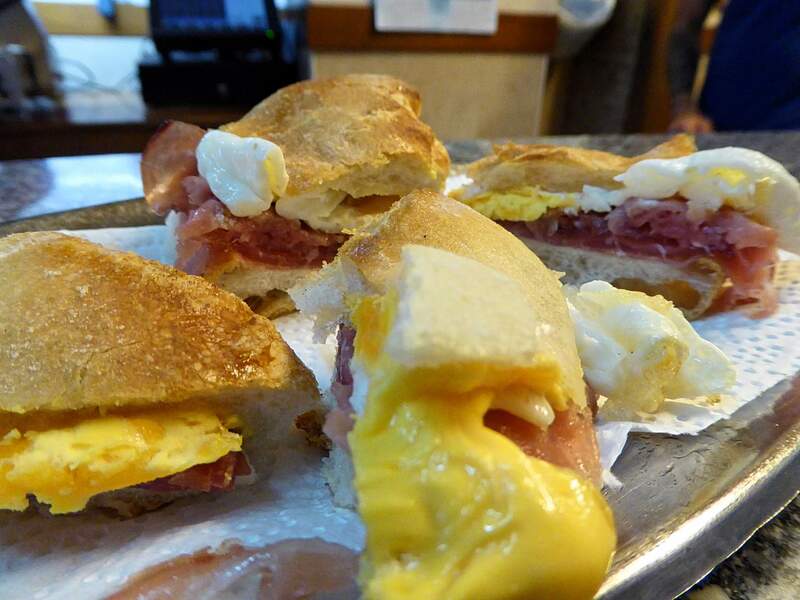 The other for its smoked ham and fried egg sandwich. 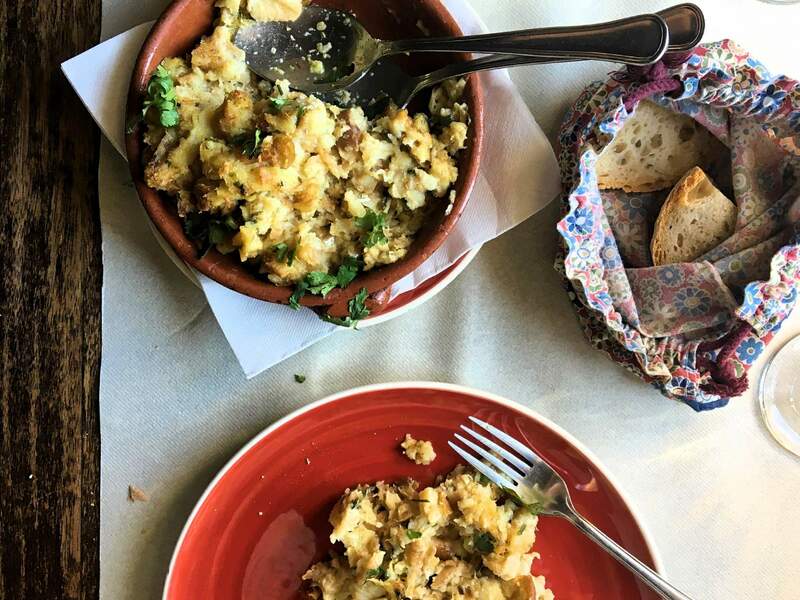 They are two of the favorite TOP spots, with Portugal’s best snack foods for the chef Anthony Bourdain. 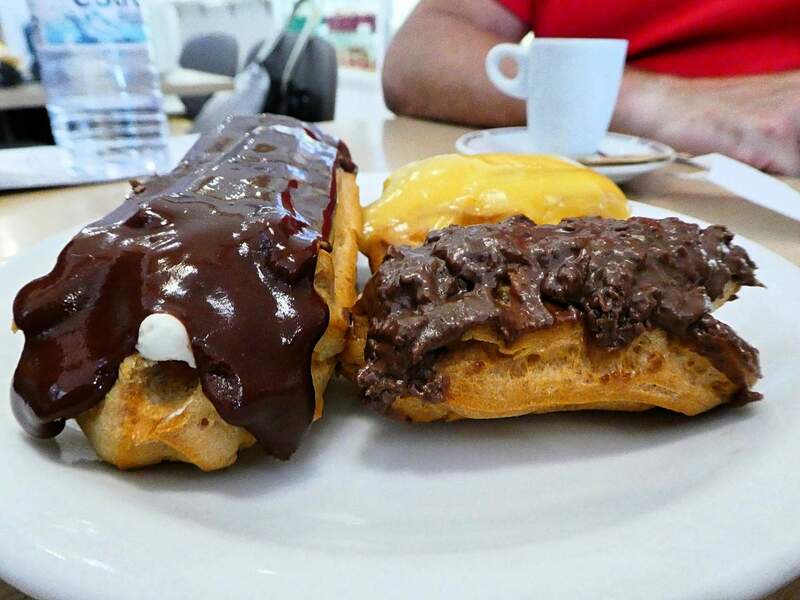 A must-try when you’re visiting Oporto. 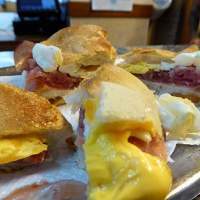 Eating bread and pastries (either savory or sweet) is a big part of our daily routine and we have pastries shops in every corner. 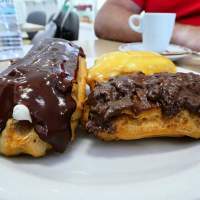 In Oporto you must try the famous Éclairs, the Jesuítas and the popular Pastéis de Nata at the best pastries shops in town. 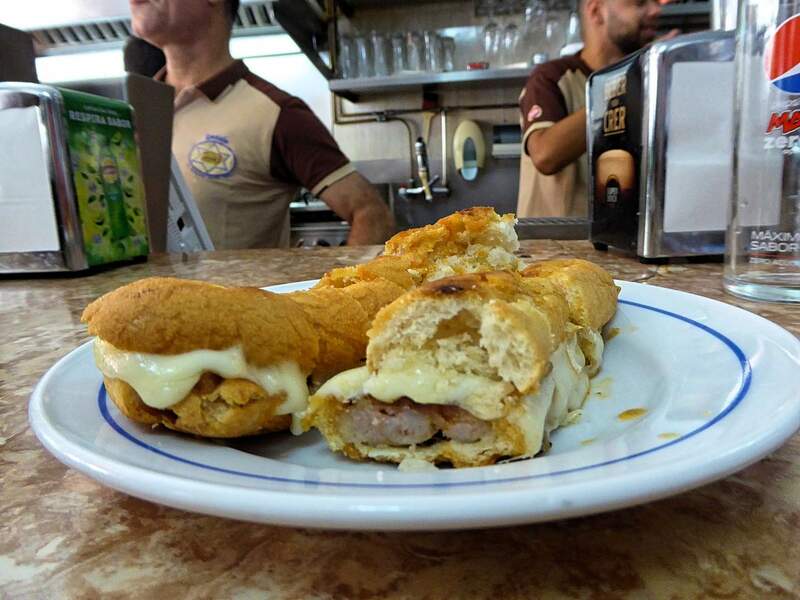 You’ll visit a tiny restaurant that became famous for its “cachorrinhos” (small hotdogs). 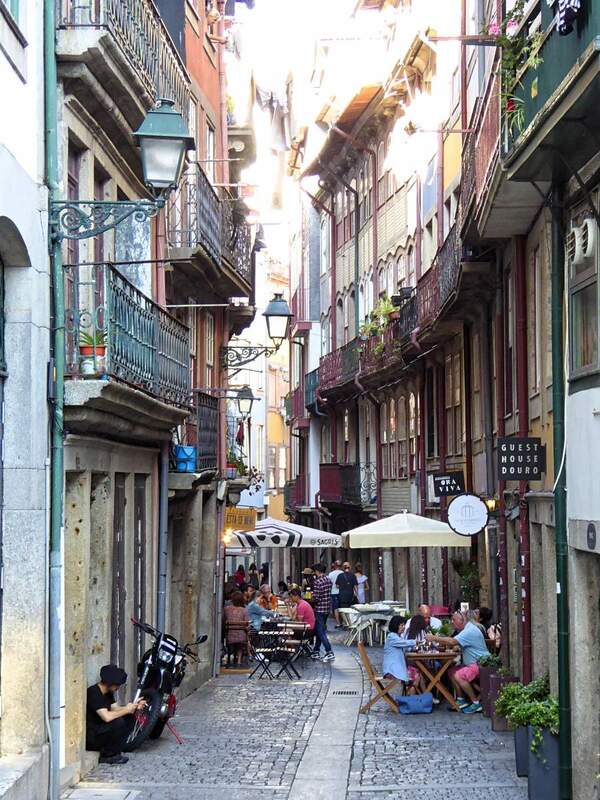 This iconic place, located in the historical centre is for the locals one of their favourite stops. A true gem that you have to visit. 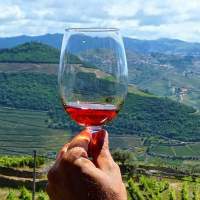 Wine is a very important industry in Portugal. 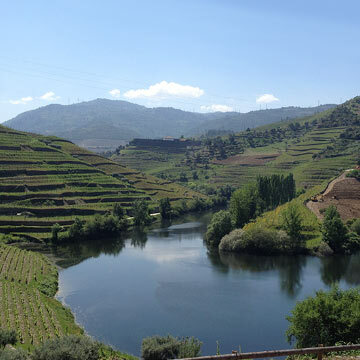 Portugal’s history is firmly intertwined with its wines, especially its most famous wine, Port. 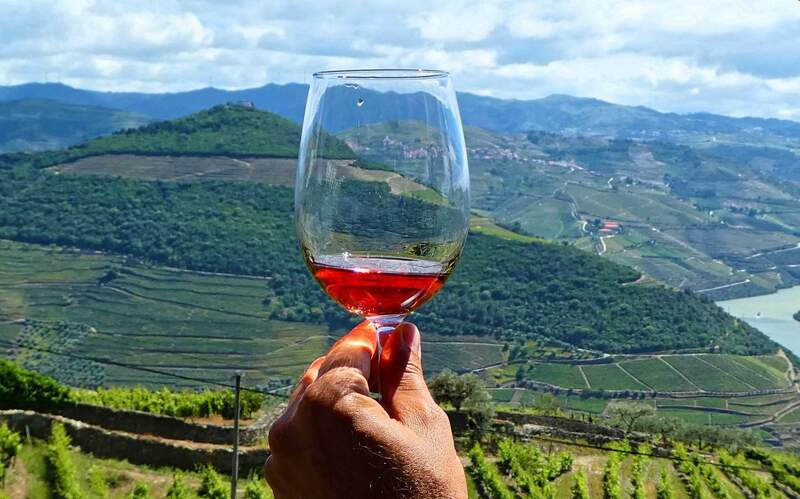 So the best way to end this tour is having a wine tasting of our wonderful wines at a specialized spot. 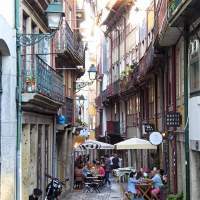 Oporto’s main avenue and considered the heart of the city. 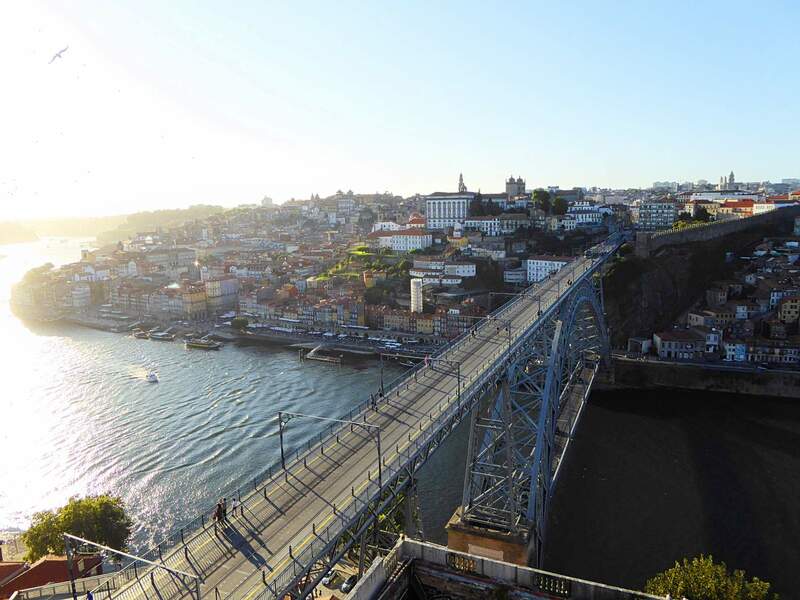 Located in the heart of Oporto, is Portugal’s most famous bookstore. You’ll be surprised by its staircase that gives it a ​​mysterious look. This bookstore became famous because of Harry Potter’s saga writer JK Rowling that used it as inspiration for the stairs of Hogwarts’ castle. 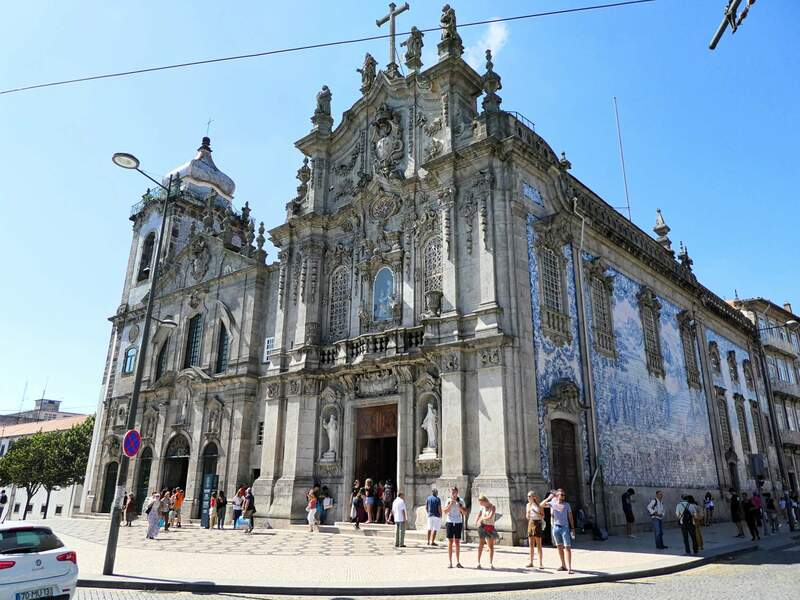 This 18th century baroque church designed by the Italian architect Nicolau Nasoni it’s the city’s symbol. 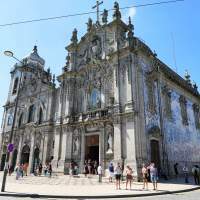 The Cathedral of the city of Oporto is located in the heart of the historical center and is one of the main and oldest monuments of Portugal. The Church of Saint Francis was classified as a National Monument and Unesco World Heritage site because of its extraordinary decoration in gilt wood carvings. 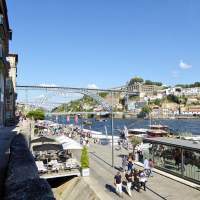 Is the riverside area of the city where you can find restaurants and cafés with amazing views to the Douro river. 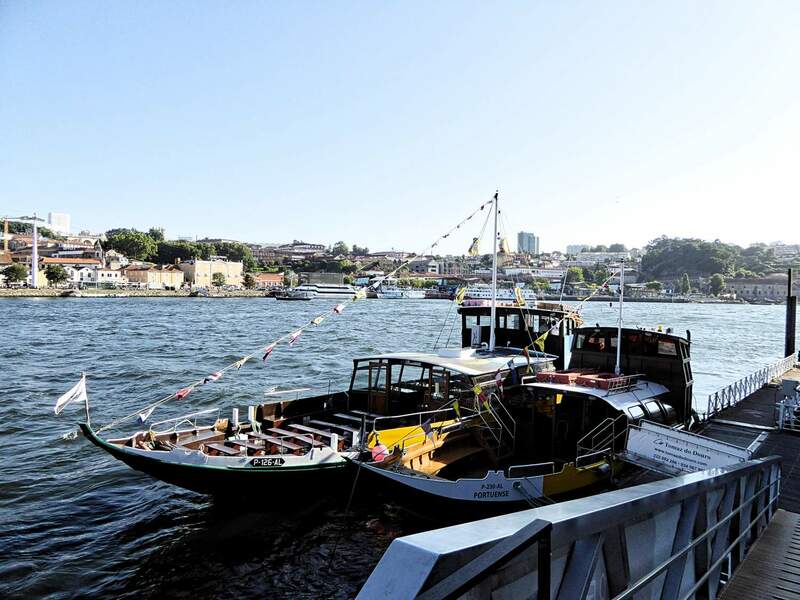 Designed by Théophile Seyrig, a disciple of Gustave Eiffel and inaugurated in 1886, it connects Oporto with Vila Nova de Gaia while crossing the Douro River. 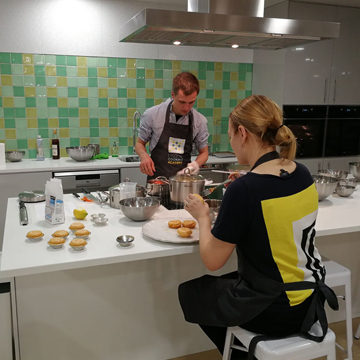 If you want we can also provide you an option of this tour with pick-up and drop-off at your hotel, airport, cruise terminal or other meeting point. 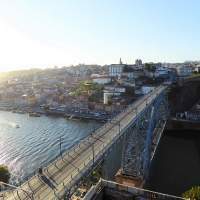 During this tour, you'll learn how to make the famous codfish, one ot the most well known dishes of portuguese cuisine.